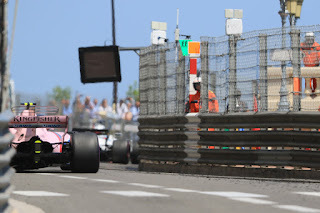 Talking about F1: The F1 blog: Monaco Preview: A welcome change? 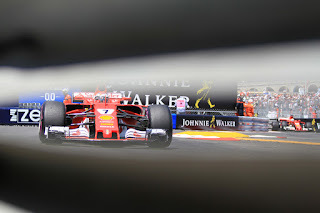 Monaco Preview: A welcome change? Once upon a time, Formula One fan and general wit Clive James noted that "it is said these days with increasing frequency that Monaco makes a nice change from Grand Prix racing". With the latest visit upon us, it's hard to argue. Really, what is it with the place and its 'jewel in the crown' status? If you're to be critical, the Monaco round is an anachronism. If you're to be very critical it's an absurdity. A narrow, bumpy and tortuously sinewy tunnel of barriers. Famously Nelson Piquet described its challenge as akin to riding a bicycle around your living room. Track position is ten tenths of the law. The wider cars introduced last year if anything added to the fraction. It doesn't get much better off the track either. Cramped and claustrophobic with ostentatious poseurs everywhere who in all probability don't care much for the sport. Not outside this weekend at any stretch. But, conversely, what it is about Monaco lays within all of this. 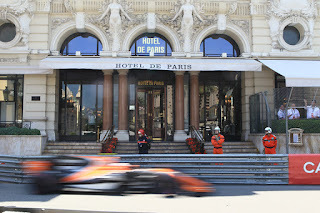 Among those 'brands' that make F1 Monaco is firmly in the top two. Even those who've never seen a motor race will have a reasonable chance of pairing Monaco with F1 in a word association test. And like it or not Monaco embodies much of the image F1 likes to have of itself: glamorous, wealthy, eye-catching. Few places follow the line of F1's history for as long either. No other event on the modern calendar is such a driving challenge - of precision, bravery, concentration. Nowhere else is the driver able to make such a personal difference over their machinery. Nowhere else is there such a likelihood that even the smallest error will be punished definitively, a characteristic that's grown rare. Not for nothing many F1 giants of past and present are multiple winners at this track. Also Monaco's sheer abnormality can give us abnormal results. Any engineer will tell you that if you were to design an F1 car solely for the Monaco weekend it'd look nothing like an F1 car. Even over and above all of this Monaco retains a knack of being a place where things, somehow, happen. It's handy therefore that Monaco follows the Spanish round as the tight final Barcelona sector is considered a good guide to Monaco pace. And on that basis Red Bull is the one to watch this weekend. Daniel Ricciardo set the fastest final sector in Barcelona's qualifying and the race, with Max Verstappen not far off in either. It makes sense too. If the Red Bulls should go well anywhere it is here, as not only does this track suit the nimble machine it also shows up its Renault horsepower deficit the least. 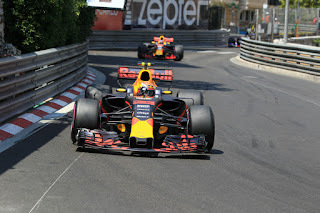 And both Bull pilots have the sort of skills and abandon that are served well at the Principality - let's not forget that Ricciardo got Monaco pole in 2016 and would have won the race without a botched pitstop. Still Mercedes and Ferrari were close at hand on both Barcelona's Saturday and Sunday in that sector which suggests this one will be a three-team close call. Qualifying means a lot here too and both have fabled qualifying engine modes over Red Bull. That will count for something, even at Monaco. 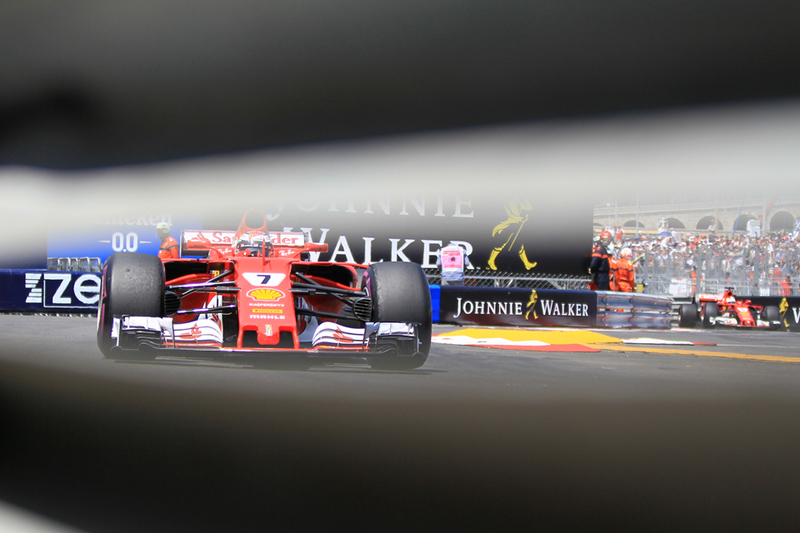 Ferrari dominated at Monaco last year and has been riding high for a lot of 2018 too particularly on short tight corners of which there are plenty here. Though it comes into this one after an iffy time in Spain. As for Mercedes, even amid its Barcelona win afterglow Hamilton and his boss Toto Wolff were expressing trepidation about this round given how it struggled here last year - with its bugbear of getting tyres 'into the window', seen repeatedly this season as well. Then again Merc likes learning from its mistakes. And last year even so Valtteri Bottas was within half a tenth of taking pole and two thousandths of splitting the Ferraris on the front row - either would have led to a very different race. Lewis Hamilton has pretty solid Monaco credentials - he's won here twice - but had an awful time last season, messing up qualifying to start 14th and finishing seventh. Again going by the Barcelona final sector, best of the rest could be Carlos Sainz. History suggests that too as he both qualified and finished sixth here last year, and has been in improved form lately. Fernando Alonso was in the Barcelona final sector mix too as well as finished fifth here in his last visit two years ago. He'll welcome more than most an opportunity for driving talent to trump machinery plus like the Bulls his engine deficit will be less of a factor than usual. There's unlikely to be much strategy variation. One-stoppers have been the norm this year anyway and they tend to be set in stone at Monaco, as all prioritise track position. Despite its acrobatic appearances tyre wear is actually very low here due to the low speeds. The timing of the stop is likely to be opportunistic rather than designed in advance. Safety cars and the like are common here. As seen last year decision making will be crucial given the stop will be about the only chance to change places. Pirelli's new hyper-soft makes its race debut this weekend, perhaps adding a variable. It was supposed to be a pseudo qualifier, good for only a few laps, but teams appear confident it'll allow the usual one-stopper as all have piled high on the compound in their selections. "I don't think the hyper-soft is going to be wearing out any faster than the softest tyre has done at any of the other races this year," Kevin Magnussen has predicted. Another consideration is that driver rhythm means a lot at Monaco. This can have strategic implications as an overcut - where someone presses on with old tyres - can actually be quicker than getting new rubber, as we also saw with crucial consequences for the win last year. This has implications for engineers too as drivers getting into the rhythm gradually over the weekend has to be factored in when developing set-up. Track evolution at Monaco is sharp also. A car working well early on in Thursday practice may not work well when it matters. At Monaco there is also often a tangible possibility of rain, though forecasts have it dry and sunny throughout this time. 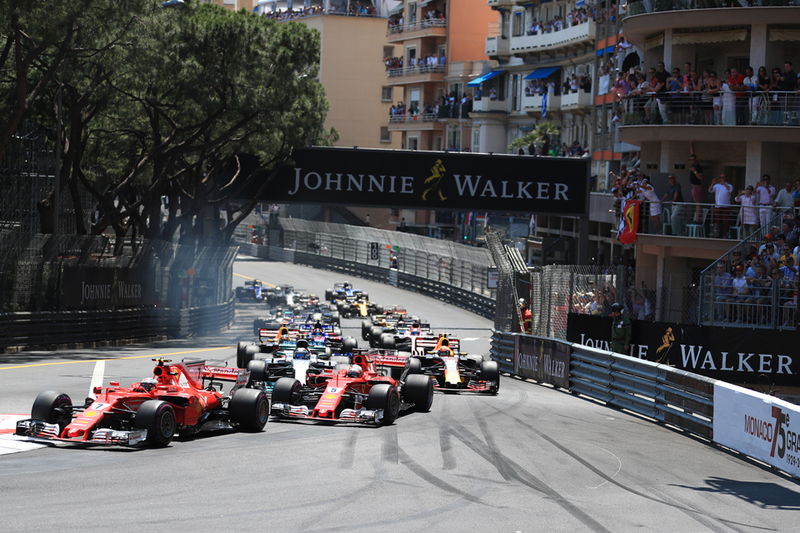 Monaco's a nice change from Grand Prix racing, as Clive James noted with irony. But this time, as in a few times before, it could be that the change will be a welcome one. Moneypod "Play Your Cars Right" quiz. Barcelona Preview: Moment of clarity?